Result was nothing impressive. In fact, I was a bigtime laggard (with a capital L!) and it was a testament of how much my kuya and my boyfriend love me — they did not deny me!, thankheavens (relief). But as in my past bleak race performances (well, if you think about it, I actually can count in only one hand those races I can call ‘pretty good ones with nice finish times’, hehe! ), nothing can destroy Cathletic’s spirit. 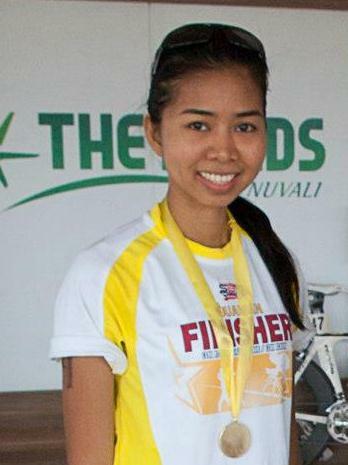 I finished my first duathlon at SBR Duaman with a genuine proud smile. Dude, the truth of the matter is — I freakin’ survived it. And weeks before that, I’ve been scared like hell thinking I’d cross the finish line with bruises and cuts and blood and broken limbs!! Okay, enough now, I’m exaggerating, hahaha. But I was really afraid days prior to the race. To summarize my fears: takot ako sumemplang sa bike! Nevertheless, thank God and thank you to all my prayer warriors (yes, I asked friends and families to pray for my safety during the race), I survived it bruise-free and totally well! SBR’s Duaman was the perfect venue for newbies and feeling-newbies, because at least for my case, I did not feel too intimidated. There were a handful elites, a good number of intermediate athletes, and A LOT of first-timers. In fact, quite a number competed with their MTBs (they’re at a disadvantage of course, compared with those on their road bikes and tri bikes), AND,.. folding bikes even! In short, it’s a halo-halo in there, which made the event really cool — except that, as I’ve said, I was a bigtime laggard, Grr! And that’s because I took at least four Snickers break. I don’t blame these babies. Yup, you got that right — Snickers the chocolate! That was my chosen weapon in conquering my first ever duathlon. And by Snickers break, I meant deliberately stopping at a shady area for a good 5-10 minutes to take a bite from my Snickers baon, chew it slowly, drink some water to remove the uber sweet taste from my tongue, then take another bite, chew it very well, sip water again.. — and all these Snickers breaks happen while all the other cyclists pass me by with a curious stare, ‘Is that girl even part of the race?..’ HAHAHA!! Sorry, folks. Thing is, I’m too scared to suddenly run low of sugar in my blood, as I knew how weird it felt to instantly feel weak and grow near-fainting after a run-and-bike workout. But Matt is right, it’s time to learn how to take sports gels during races. I should! I should quit looking stupid during races, hahaha! And another happy part of surviving my first duathlon is being able to take the same challenge with my Kuya Boboy, whose finish time is half of mine, LOL!! 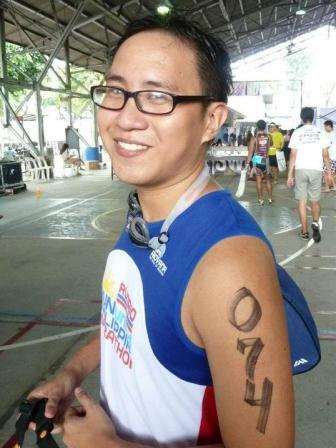 I’m supporting this guy’s entry to Ironman Cebu next year if he decides to go for it. Man, the talent.. makes me sick thinking why my brothers are darn fast, while I… (Okay, Cathletic, quit it! It really doesn’t suit me to put on that self-pity mode, hahaha!). With my kuya Boboy, and yes my bike’s bigger and taller than his — significantly, LOL. Nice to finally race with Greenhills Tri teammates. Yeahboi! First bike race and first time to sport that trisuit in a race! At the transition area. Since everything is new for me, I did monkey-see-monkey-do, epektib! Two of my most favorite boys in the world!, — with Matt, my very supportive boyfriend-photog, and my Kuya. Big thanks to Mateo for these photos. Babawi ako!! In my next duathlon race! — at least I hope to, LOL. And it all started during the UP MBA [candidates for] graduation pictorial. We’ve been classmates during the second term but we barely exchanged a word. But because I wore my then-freshly-delivered Greenhills Tri uniform for my creative shot, a friendly (read: curious) conversation sprang somewhere. And now I am a huge fan of this comebacking long-distance runner, AND aspiring multi-sport athlete, Mateo (NOT Guidicelli, hahaha!). I took this photo of him at the Ateneo Aquathlon some three weeks ago. So this is my little surprise for you 🙂 to let you know that the past month has been really wonderful. look, She’s a marathoner now! And I’ve been asking my good friend, She (short for Sherillyn), to write down her race journal now about her first marathon experience. One, because she’s a terrific writer – able to put great drama to the story even when there’s none (joke!! peace, She! ); and two, because I know how she painfully prepared for it and how badly she wanted to do it (don’t ask why, for that is not a valid question, because ‘doing a marathon’ doesn’t need a logical explanation). I guess I am writing this as a tribute to Sherillyn Raga, one of my bestest friends ever from way back UP ETC days (or I think I was already in IDEA then, haha!). I know you were speechless/ emotionless when you crossed the finish line at CCM. I’m not sure because I haven’t done a ‘Full’ myself yet, but maybe that’s how it’s supposed to feel?.. nothing? LOL. I am sure though that one day, when you get reminded of this athletic feat, you will no longer feel emotionless about it – but will feel a healthy dose of pride and happiness. Roomies – Cathy, She, and Cora. 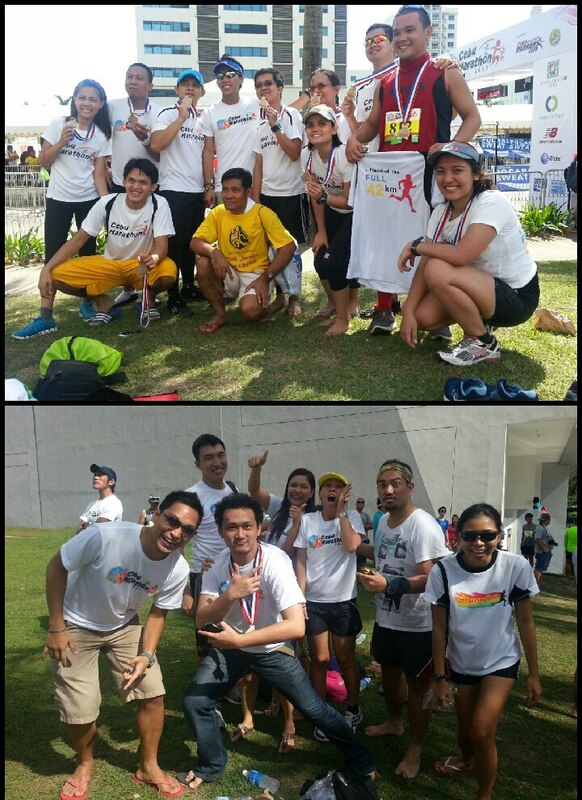 And thank you to the great and wacky peeps of BSP- Team Cebu for making the race experience more fun and enjoyable! But guys, I think we had too much of those Cebu lechon. Seriously. Hahaha. BSP-TEAM CEBU. Top Photo – 42K runners; Below – 21K runners. And this one still has life, ladies and gentlemen! (Yes, I’m talking to myself, uh-oh.) There’s no end to this running comebacking, and to always getting surprised that this blog hasn’t expired yet. With that, thank you WordPress — although you’re getting darn slow now it starts to get to my nerves. 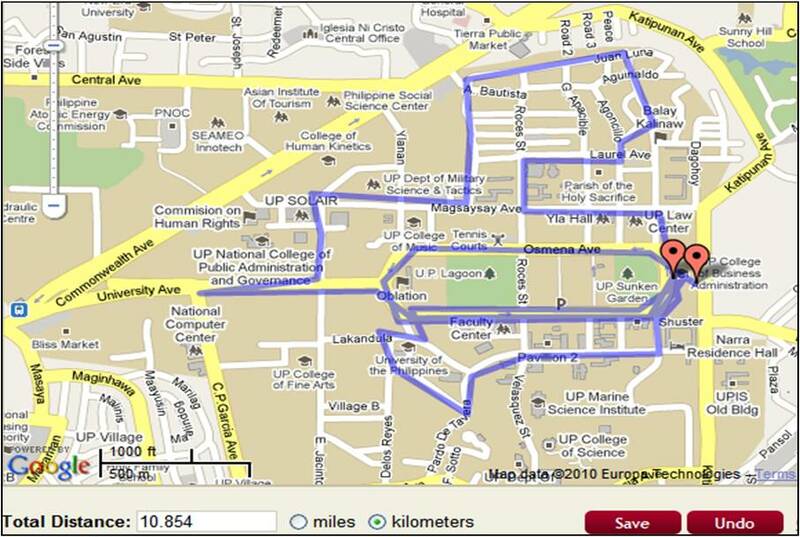 Had a good 10K run this morning at the UP ROTC Centennial Run, right in my turf – good ol’ Diliman campus. But they made us tackle the outermost loop of the campus, passing by my favorite ‘heart break hill’ which was a most welcome change. I clocked in 74 mins and then it dawned on me how much I have lagged behind most of my running friends, in our ‘running career’ – naks! oo me ganun! Three years ago, I was badly aiming for a sub-60min 10K because I was consistently clocking in within the 67-69 mins range. Now I can barely get it at 70. Trade-offs in life are real. But perhaps one’s love for this sport will never be measured by PRs. A few runners who beget the most of my respect in the running community are what I call ‘purists’ — those who run for the love of the sport itself, and not for anything else. Since our CEO and VPs are running addicts themselves, the annual company sportsfest always starts and ends with a fun run – which is professional enough as logistics have been consistently handled by Run Rio (yuh, even before they got famous). But the past two years, I’ve snubbed it; most of the time for valid reasons, other times for sheer laziness. But I just recently decided to tackle two half-marathons in this month and the next, and that practically leaves me no choice but to get serious at my training. Last Saturday’s race proved to be a good run for me, but not good enough to let me get a podium finish again. While I felt strong all throughout the race, I tackled it darn slow that actually ended up still on second place — SECOND TO THE LAST!, among all female 10Kers. I don’t feel bad. After all, I’m a newly comebacking racer, and I see good times for me at Unilab and CamSur. Yuh, that’s me thinking uber happy thoughts, to down my usual fright for 21K distance. But let’s get it on! Who’s scared? Me? CAMOWN! I almost forgot about being Cathletic – No! Just how many times will I say ‘hello again!’ in this blog?.., after hybernating for some months – years even! – and then suddenly sneaking in to find out this blog hasn’t expired yet, and ohboy I could still scribble a thing or two. So why am I here? Because I’m on a comeback mode again, slated to run two half-marathons for two consecutive months, and it starts this month — AND I START PRAYING. The daredevil in me gets the better of me again, and I’m like, uh-oh I did it again BUT BRING IT ON!! Life cannot be more exciting. So it’s been almost four years of running — yuh (apparently, ‘yuh’ is the ‘nanunuya’ version of yeah, lols!) it doesnt mean that since I don’t blog or I’m not visible in races, I don’t run as well. WRONG!, a real runner runs whether or not there’s a race, and moreso — whether or not she plans to get popular about it by writing an account and get a few ‘FB likes’ here and there. Okay, I’m exaggerating it, hahaha. So enough with the disclaimers and prolly all I wanted to say is that it’s been four years of running… thousands of people have picked up the sport, I-went-to-postgrad-school-filed-a-one-year-leave-and-went-back-again, my parents already migrated to US, I fell in love and lost it (no elaborations please, thank you), I got two job promotions, my two brothers got addicted to running too!, I started taking swim lessons as I got interested in triathlons, I tried dying my hair dark brown to no avail and now it’s back to its real color,.. four years of life have passed, and STILL, Cathletic’s love for this sport has not waned. Not a bit. Memorable chilly run.. love love yesterday’s Botak Baguio race. What overwhelms me up until this moment isn’t just runner’s high, but ‘Baguio high’ too – yup, even wilder than the ‘Corregidor high’ last December.. which renders this race to become personal favorite for my 2010 Q1 runs, and perhaps for the entire year even. 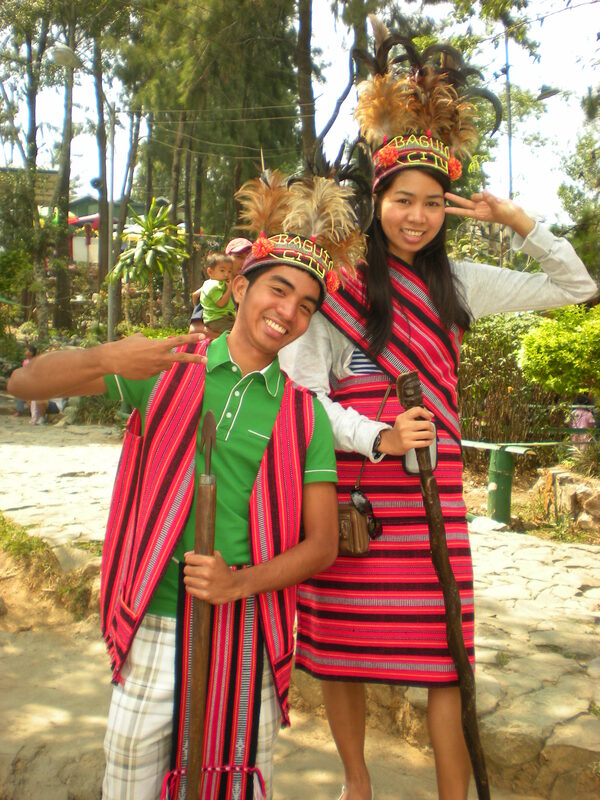 I left my heart in Baguio, as though I was a first-timer tourist there like mi hermano. It’s my first time to go to Baguio by bus, and I was undecided whether to wear my simple girlie flats or the running shoes for the bus ride. I thought it’d be extra cold so it’s the NB pair, yup got it right – good ol’ gray NB is still alive and it survived Baguio too! Never Fails. NB I like. This pair, like an old trusted friend, has been everywhere with me – Condura 21K, Camaya 10K Trail Run, Makiling Challenge 12K, Corregidor 10-Miler, to name some of my ‘wilder exploits’ in running. *But a different and no-less-truthful translation of that is: Cathletic is an economist and just won’t discard shoes as long as they’re functional and aesthetically agreeable. 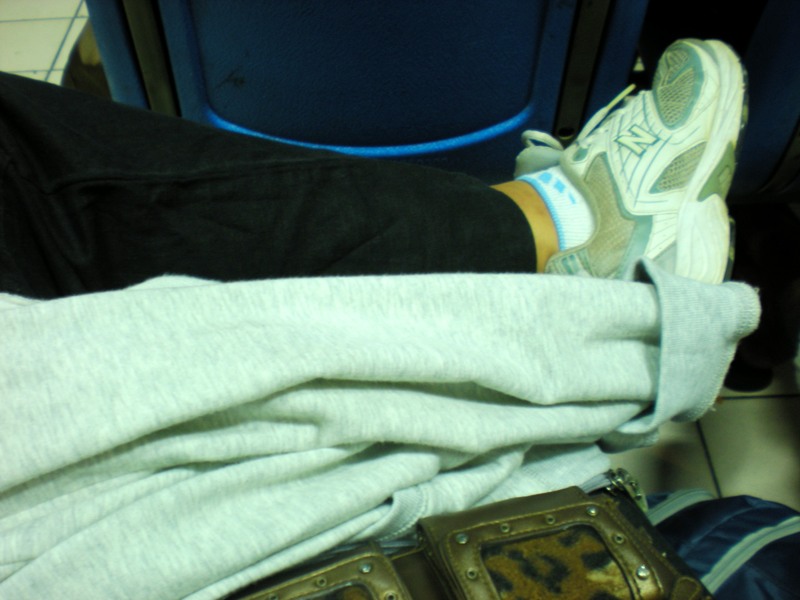 Besides, it’s my favorite pair and I doubt if my heart can take it to see it on the trash bin, or.. (okay I’m selfish-childish like that) worn by someone else. At least for this pair, let me be selfish. Botak Baguio Race = Wild & Cool! It was my first time to be running in Baguio, and the image I had in mind was Pakman running Baguio slopes in hooded jacket. I had thought it to be an easy, favorable place for running – literally ‘no sweat’. Come race day and the first challenge was getting up and parting with the warm, thick blanket. OhGod!, I thought I’ve already won my race by simply deciding to part with the warm hotel bed. Brother was also fighting the first fight of the day.. but not without ‘bagong gising’ whinings. We got to the assembly area at 6AM, foggy, chilly, the type that melts your bone. Our hotel was a good 1 minute walk from the race venue and it was a such a crucial factor in making us able to brave the cold and join the race we registered for. 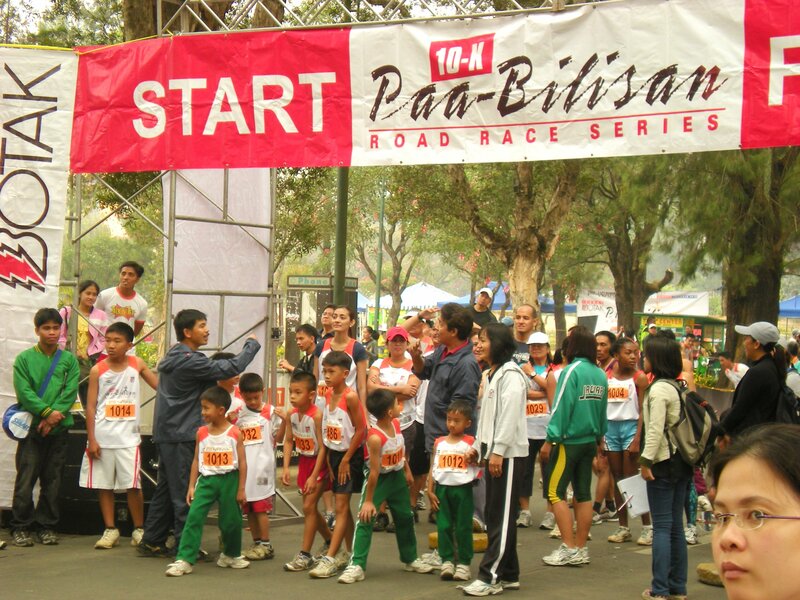 Botak Baguio run was like an intimate community race of about 600 runners in total. Gunstart for 21K was fired at around 6:15AM and for us, 10Kers, we were let off at around 6:30AM. I wasn’t feeling hurried at all for us to be let off, because seriously with the cold, cold, morning temperature, I was hoping I’d get ample time to warm-up.. as I thought my legs were freakin freezing! This race I consider sooo unique, as I realize it was reaching the first kilometer that spelled like hell to me. Prior to KM1, Cathletic realizes she’s breathing in cold air and it felt weird on the throat! After the first 500 meters, I began coughing quite badly that it got me teary-eyed, so obviously I was also slowing down. I thought I needed to call the paramedics, seriously. After KM1, my body got sort of acclimatized with the cold temperature and got some coping with breathing in colder, thinner air. The rest of the 9K distance went by smoothly, safely, and more important, beautifully. I need to commend the Botak organizers for the offering this wonderful race course. Yes, on top of everything is the race route offer – wildly beautiful! By the way, I mean ‘wild’ as in challenging, with a good mix of gradual inclines and a few crazy uphills. Organization was blameless too, at least to me. There were enough marshalls, adequate KM markers, and ample water stations (and overflowing Gatorade drinks too!). I finished 10K here in 1:19 minutes – not bad for a hilly route, unfamiliar running condition (cold, thin air! ), and for a not-so-in-shape Cathletic. Daryl finished 3 minutes ahead of me, but that’s because he sped up after the turnaround point, when he realized, in shock, that I’ve been trailing soo closely behind him – just some 10 strides away, no more than that. ‘Ang sipag mo kasi!’ was all he shouted at me when I met him 3 meters from the turnaround point. My brother knows my style: slow but steady, I barely stop. He takes the opposite: fast and UNsteady, with plenty of walk breaks. Hehehe.. The Botak race was, in all honesty, the side-trip. The main trip was to roam around the City of Pines, goof around, and take tonzillion pictures! Uh-oh, like this one. Igorotaks in Korean Pose. So what else is there left to say.. Thank youw, Baguiow. Bow. So Brother arrives in Manila so early this morning, disturbed my sleep, and even had the guts to criticize the pasta I served him (which I myself cooked by the way, and which makes the scenario bit more explainable)..
AWRAYT, let’s do this Botak! Uhm.. can we disregard the ‘bilis’ in the ‘Paa-bilisan’ event name.. I might be climbing Lourdes Grotto tomorrow, for my first-timer (in Baguio) tourist Brother. Lame excuse, I know. In less than three hours we will be off for Bagiuo already (which reminds I need to pack up now, leave the office, and pack up again for Baguio00ww).. I am excited for this trip and for this race, for so many reasons. 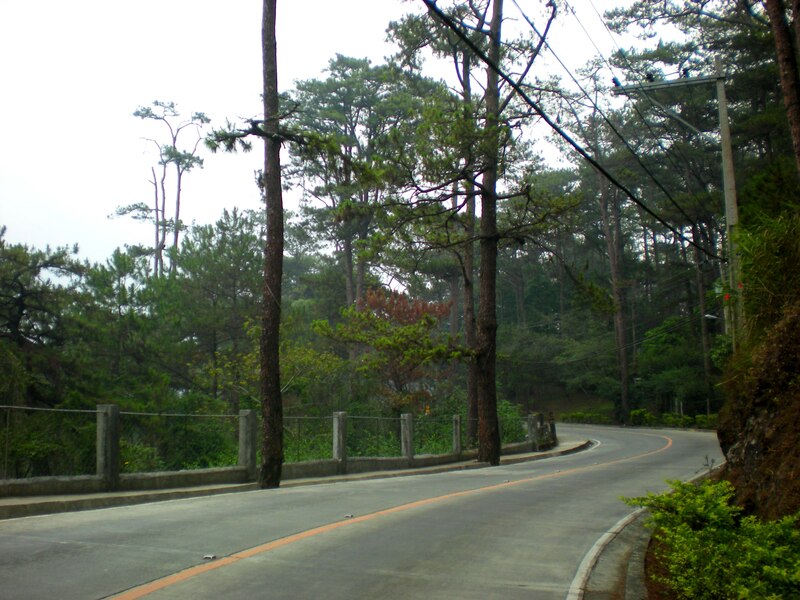 First, it interests me much to be lacing up my shoes to hit Baguio roads, and hills!, for the first time. I wonder how it feels to be running in cooler Benguet temperature, bit foggy morning, hilly race course with view of pine trees (and pine breeze to savor) and of flowers and sayote’s (?, hahaha), and thinner air. What can I say – wholelottadifferentadventure, Bring it on! I should have 2nd, 3rd, 4th, ..nth reasons but I should be rushing now to go home and prepare my stuff. Oh well let’s just hope Brother gets happy with strawberry picking for tomorrow, instead of climbing the 200+ (Is it? Or more? Haven’t tried this one, myself, hehehe) stairs of Lourdes grotto, lest I won’t have energy left for the race on Sunday. Sometimes it makes me wonder when it shall happen that roles will be reversed, that I will be the one demanding like a brat and he shakes up his world just to say Yes.. But since Brother is pretty much a good boy, I think that time shall come.. one day. 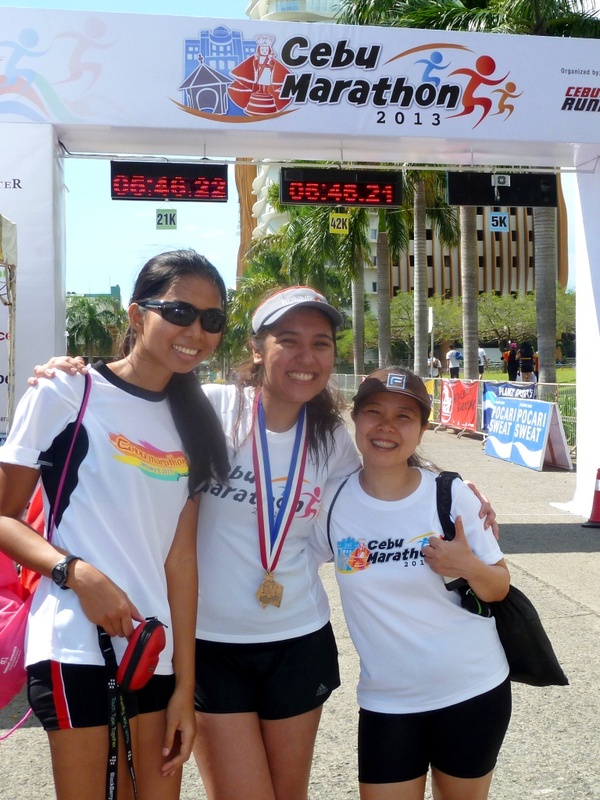 I should blog about my Run4Earth and LGV Run experiences. Before it gets all too irrelevant, time-wise. Amid nursing still slightly sore calves and aching ankles, let me bring you a good news and a bad news from AKR last Sunday. The good news is.. I brought home the medal. And the bad news is.. everybody did, whether or not they made it to the cutoff time. Tough luck, coz there’s a WORSE news –> I’m one of those who did NOT make it within the 1:45 hrs cutoff time for the 15K solo, and got a medal. So what are my sentiments from this race?.. 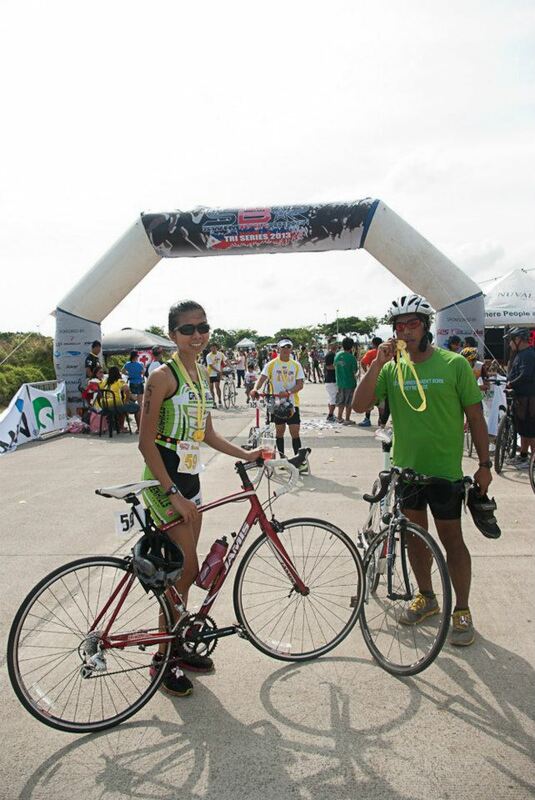 First off, t’was one heck of an El Nino race — hot and humid weather, and to complete the El Nino factor, NO WATER!! (or at least, very limited water.. or better yet, poorly positioned water stations, i.e. it’s not there when you need it most, Grr!). Things would have been bearable if organizers sticked with the original plan of 5:45AM gunstart for the 15K race. To my mind, that was just a perfect strategy as I was anxious about running under scorching heat along the Balara and C.P. Garcia stretch. Lo and behold, 15K racers were let off at about 7AM already. Good run overall, but it was ONE EXCRUCIATING, HOT, WATER-LESS RACE. Only two among those folks above really deserved the medal. Don’t count me in, asa pa.
3) I experienced pains in the leg and feet that I never had before. I guess the cushioning of my shoes wasn’t good enough for that longer-distance run of 15K. My bad!, I used my [for] short-distance [only] running shoes, a.k.a. ”pink baby’/ ‘japorms shoes’ in the hope that its being lighter in weight (compared to my trusted good ol’ NB shoes) should work in my favor for this long run. As they say it, DO NOT experiment on anything – never, on a race day. 4) I walked. Toink. After KM12, under the fuming mad sunrays covering the Balara stretch, I walked. Toink. Exhaustion + Laziness. Laziness, because it was too obvious I wasn’t making it within the cutoff time anyway. The psychological effect of cutoff times, deadlines, ultimatums, limits.. It just totally changes the dynamics of the ballgame. 5) All the negativities aside, this race is special due to a personal feat coinciding with it. I drove to the race venue alone, and also braved Katips highway for our post-race breakfast. But that didn’t come without my friends’ assistance. On the way to KFC Katips from UP, one friend’s car was right in front of me and another stayed right behind mine. And the thing is, we weren’t being OA – oh yeah I needed that much help, hahaha. Then again, I am proud of myself to have made it to our destination without my engine stalling. There were bloopers, but whatelseisnew, I always get bloopers – driving or not. Thanks AKR. You just reminded me that summer time is so here, and El Nino came to visit too, so I’ll stick with my evening runs. And yes, I got reminded to plead to race organizers to PLEASE consider offering evening races – while Ms Summer and Mr El Nino are here. We need to economize water y’know, and summer day races get runners consuming A LOT MORE water than usual. So evening races, please. That 15K 1:45 challenge in AKR has just inspired me (read: scared the hell out of me!) to run 3x within a week, last week – which is not exactly my norm these days. I’m usually lucky already with affording a short run on a weekday and a longer one on weekends. But last week..
Oh last week, I just gathered up all positive spirits in me to find time to train. And that had to mean delaying a dinner invite and having to cancel at the last minute(!) attendance to UP pep squad’s concert. Talk about trade-offs. But good heavens thought good girls deserve some reward. Post-run last Friday, my friends and I, all famished, went straight to Chocolate Kiss to grab a bite to eat. Suprise of suprises!, it was the resto’s anniversary night – so there were those get-all-you-want cakes of different varieties for FREE!, plus the happyhappy acoustic live band to entertain the diners. I guess I was too pleasantly surprised I even thought of approaching the stage to render a song or two, hahaha, because the other diners were gamely doing it! And then I realised I was sandwiched by my two serious-looking guy friends who’d surely leave me the moment I give in to that insane thought. So I contented myself with singing along, clapping hands, moving my head and shoulders with the rhythm, and devouring cake after cake. Oh one day, no one – not even my own shame – will stop me from singing with a live band on stage. Put that on the bucket list. Saturday came and it was time for a long run, again passing by the heartbreak hill and the outermost roads bordering UP. T’was one great run, save for zero Piolo sighting, hehehe. Well that’s too much asking perhaps, given that a slow runner like me deserved to get two MPG bodyguards, both of whom I almost killed with my sloooowww pace. I know what you’re thinking.. ‘the costs of friendship’. Cathletic update: Ready to miss out on the AKR medal, BUT wadaheck let me just give it a try, okay? So most of my MPG friends were out to the mountains of Benguet for an adventure weekend, particularly to Mt. Pulag. For some reasons, I was not so into it and was more keen on spending a chillax weekend plus a long run, hopefully a test run passing by the heartbreak hill in UP. I guess it’s safe to say I’m nervous, and excited at the same time, in doing that 15K Eliminator Pursuit at AKR. Truth is, after last night’s when I felt my legs growing heavy at KM9 – not to mention we kept a pretty slow pace all throughout – I thought to myself, ‘goodbye AKR medal’..
Goodbye came too soon.. I hate it! Go try this. You know Acad oval can be boring..
Now for the more interesting part: My first ever Piolo sightings! I honestly wish not to have to be mentioning it here. Some of my friends might suddenly change practice venues just to catch him, and I want the guy to be left in peace as he seriously trains to keep his 47-min PR for 10K, or better yet improve it. Alas! I myself was so distracted! It is therefore true that Piolo is just impossibly good-looking, and that he runs fast! Adz, who played my running buddy last night as he is also doing the 15K at AKR, kept telling me, ‘Ano ka ba, leave him to the gays..’ Apparently it got too obvious I was busily distracted with spotting Piolo on the road, hahaha! The reason why Piolos with an S? Because I saw NOT once – but twice! There could have been a strike 3, except that my buddy saw I was dragging my feet forward already, and probably knew secretly that the only thing driving me forward was the secret wish to see Piolo a third time. HAHAHA, ang babaw ko! And I almost thought too that this blog is dead. Nah, it won’t be. Blogging or not, running remains to be personal favorite sport. Ergo, blogging or not, I keep running – perhaps not as frequent and not as intense as in my so-called ‘heydays’ (if I ever had such, haha) but I have long accepted the fact that for a person like me, any free time that can be devoted to physical exercise shall go first to running, before another sport. So what have I missed recording here? 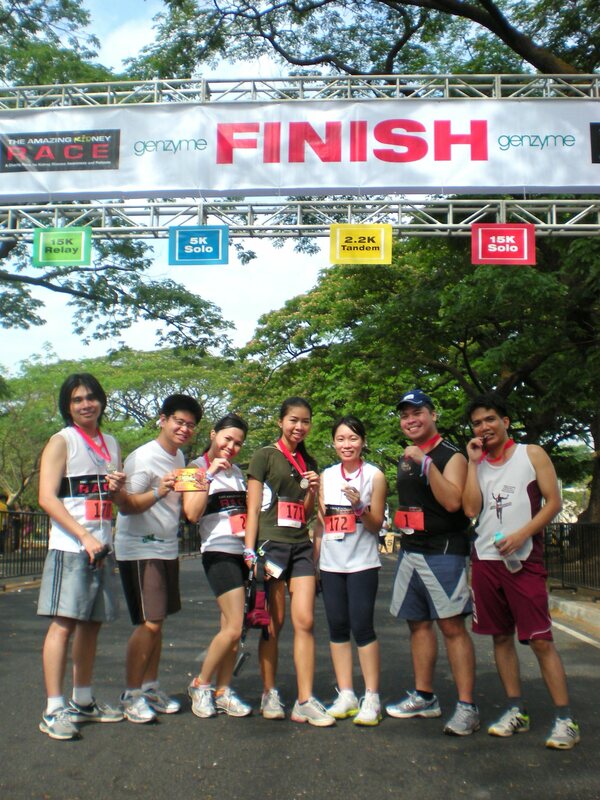 Well, one of my 2009’s Best Races – the Corregidor Run – and my support role at the much celebrated Condura Run 2010. I will write about these, no matter how expired the issues already are, because I need those recorded here. So OH-YES, Cathletic is alive, and running – and I say it as if the world cares, HAHAHA! Well I care, and that’s what counts most. Let’s just say though that I probably have grown just more picky with my races, and I have started demanding for novelty. No big issues there, just a matter of preference. Or it may be a matter of self-realization here: Yes it might be true that I easily get bored, at least on some things. I can surely tolerate running the same route 3x a week for my practice runs, but NOT for races. Making me tackle the Fort for three races in three consecutive weekends is tantamount to killing me. Sounds ‘Exag’ I know, but don’t kill my love for races by letting me go through that okay? March 7 will be a comeback race for me at the AKR, and my first for the year(!). The 15K Eliminator Pursuit at the Amazing Kidney Race is especially thrilling. I can explain why. Now you’ve figured it out, don’t you? My AKR 15 Solo is killing me with gleeful excitement. See you there. So there is a quite good reason to be excited, and scared too (! ), for this coming Sunday’s. Runner No. 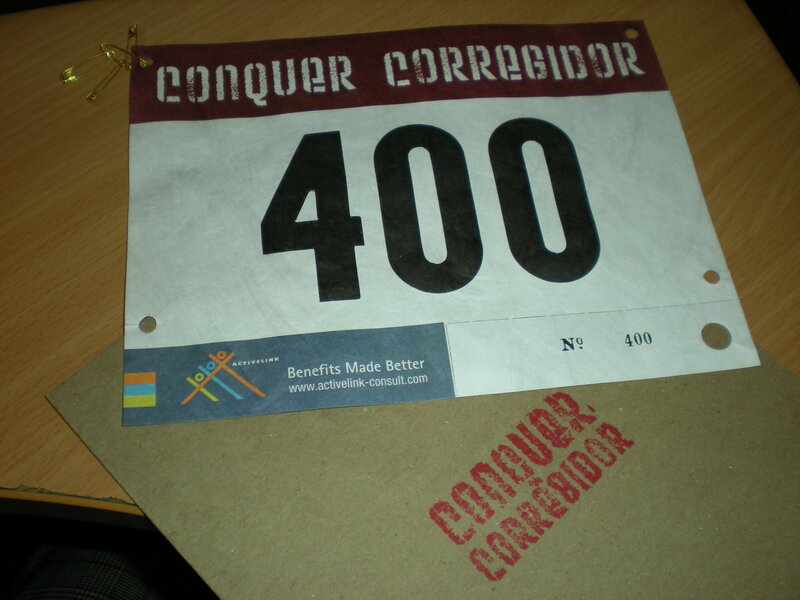 400 can’t quite decide which feeling outweighs the other, Excitement or Horror?, for this weekend’s Conquer Corregidor 10-Miler race. Some friends are going more for the place, than the race, (and I can only guess I’m going for both, hehe) so expect the sweeping vehicle to be fully packed with runners who won’t make it to the cutoff time – or who might showcase the ‘look’ of appearing too distressed to still make it to the finish line. OR – I could be totally wrong. You don’t know what sort of magic Corregidor might bestow its visiting runners, to enable them to, probably, run the race with decent enough times. PIM was a HUGE race! And so I went to PIM excitedly, but shamelessly training-less. I’ve read somewhere (and from almost everywhere, actually) that the fastest and most sure way to get prepped in running a race is precisely to run. No close substitutes. And that renders my volleyball (ahem) and badminton games futile in compensating for my zero run training. But I had high hopes of enjoying my racing time at PIM. Afterall it’s been quite some time since I joined a Manila-based major race. And whoa!, MAJOR it is. If you were there at PIM last Sunday, you know exactly what ‘major’ meant. Come race day, I committed another major ‘blunder’ (at least among runners who join races) – we arrived 20 minutes late! I said to myself, ‘this is it!, Brother is in for a weird start..’ The other 10K runners would have gone past the second water station already while we acted like lost little puppies, helplessly searching for the checker (who apparently left his post already) to send us off and ‘try’ catch up with the other 10Kers. As if. If I may just mention – it didn’t help too that my brother needed to visit the portalets and that he found my suggestion (of a crude solution to his concern) frustrating to hear, hahaha! 1) Running fundamentals don’t change. Training-less and all, I ran the entire course continuously and rather stably strong (read: stably slow, hahaha). Well, I only wanted to stress on pacing. Again at PIM, I’ve seen plenty of runners quickly get back to running mode (and speed up!) after I overtake them.. only to succumb to premature exhaustion and resort to walk breaks again. 2) Unlimited Gatorade drink is always a welcome treat to runners, especially for a newbie like Brother who can’t believe it that ‘Gatorade is unlimited, I’ve finished 10 cups already! !’ (post-race). And so item 4 is related to above..
4) Life is like an iPod shuffle – You never know what’s playing next. Save for the race kit claiming hassles (we registered at Gold’s Gym, Rob- Gale), I’m grateful to PIM for another memorable race. My brother had a great time, even if he got lost (‘major’ lost!) in finding his way to the the finish line. The man thought the finish line was at the starting area so he stopped as soon as he reached the flagpole area (dang!). Thanks PIM. I enjoyed my Kenyan-runners sightings. Last Wednesday night, I fell in love again.. with running. Eww, cheesy. Not that I have fallen out of love from it, let’s just say it was sort of a forced cool-off, as my schedule grew bigger than me I could hardly squeeze in quick runs in between work and school, and yet other personal stuffs. No more cool-offs, dear running. I am doubly excited. My brother Daryl is spending the weekend here in Manila just to join this. Oh thank heavens this time I’m his yaya-photog no more (unlike in AutoReview Run). How nice.., our first official race together – and this early I need to accept the fact that I’ll see him only at the starting area and finish line. This young man will surely make me eat his dust as soon as the gunshot for the race start is fired. Poor slow me. All the same, without volleyball this weekend, I got just as much body aches. Thanks to that badminton overdose last Saturday night. More important, thanks to my a-la-action-star stance when on the court. Yes, I dive for it. I risk my dear life for the shuttlecock. I think the tigress in me comes out during playtime, and I totally forget about acting demurely. Something like this. I fell down the floor on my knees more than thrice while saving a shot, good thing I didn’t hit hard. All for fun, at one point I found my lone self up against two guys on the opposite side of the court as my opponents. Of course you know what happens next –> I went gasping for breath I thought I’d get a premature death, hahaha. I thought the badminton craze had died already. Apparently there is a quite a good number of loyalists on the sport, and possibly (I’m guessing).. a budding resurgence.. I was with some crazy bunch of badminton addicts last Saturday. Well, what do you call people who keeps the court warm with nonstop games from 5PM to 11PM? C R A Z Y. .. is also the day I. Get. Older. Dear world, thanks for celebrating with me, with great races right and left. All our big bosses are running their first 21K at the KOTR this Sunday. Funnily, the CEO casually asked for some tips from me when I bumped into him on the elevator. It’s another case of ‘barking at the wrong tree’. The man can be funny. Look what this MPG-to-the-core gal has gotten herself into again –> some crazy semblance of ‘cross-training’ despite a sorely zero base training (in running) to speak of, hahaha. For some funny coincidence of forced game invite (company sportsfest) and a free one (with friends), I managed to squeeze in two sports all in one afternoon. Last Saturday I dipped my hands in both badminton and volleyball. The result: Aching muscles (!). And yes, up to now they’re aching that I told myself I’ll never play volleyball again (at least for now I wanna tell myself that; may change in a span of two hours). Why do I so blame volleyball for my post-game aches? For one, you do a lot of bending in volleyball – your default position (at least that’s how I know this) is to bend your body low, in anticipation of the ball possibly landing in front of you. I think this is where I got most of my post-play pains. For the more important reason: I am so NOT good in that sport (even if I’ve been badly wanting to learn it). I don’t need to elaborate but I’m just so not good at it. I told my teammates I was the critical point and that they should stay close and cover for me; and that, they did (those people were just so nice and cool!). But it only served to highlight the point: I was becoming a burden, hmp! And the ache was more psychological – clearly worse than physical pain, go try it.. wehehe. The volleyball folks did not run short of encouraging words; even the coach would egg me to join every match (I honestly don’t know how he bears it to watch me play as I was so ‘olats’, hahaha). Don’t tell me you don’t care. Today, October 15, is Blog Action Day ’09, on Climate Change. Go on click on the link, that saves from more blah-blahs. So I should talk about climate change. Nice thing, only problem is I really haven’t been doing my homework on it – and I honestly don’t know much about it. So this must the eye-opener for me and for you, my few dear gorgeous readers –> that like me, some of you might have shamelessly little knowledge on the topic of Climate Change. And even with our so-limited understanding of it, I can guess we do care – and we will learn to CARE MORE if we have a deeper understanding of it. Read up. While we listen to news of hearings on who-to-blame for that Pangasinan flooding (was it an act of God or of the San Roque dam operators), let’s try see the bigger picture of things and read up on Climate Change. 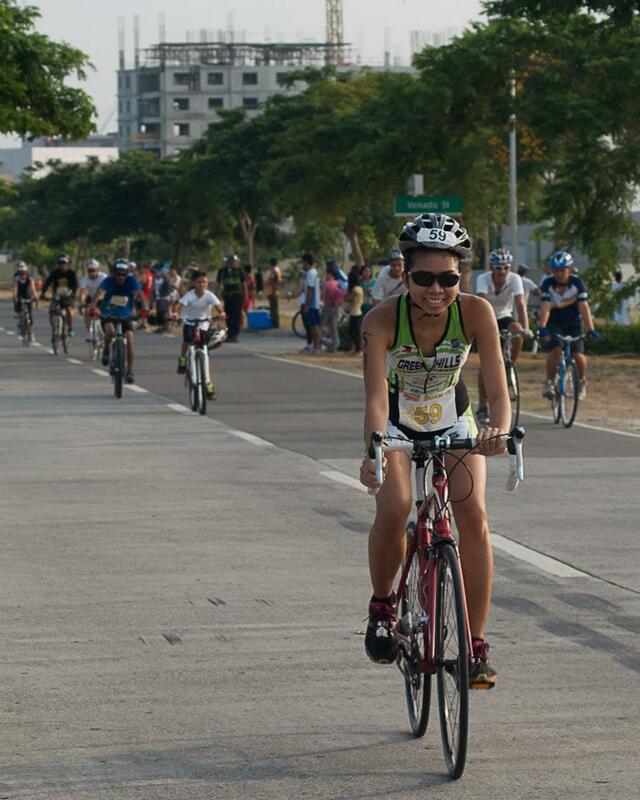 T’was my second shot at MOA, for a race. The first was special because it was my first take on running a 15K distance (for Power run); the second was made even more special, running a race grounded on a most time-relevant charity cause (TRR being a benefit run for ‘Ondoy‘ typhoon victims). Yup, it’s quite easy to guess the sort of ideas that buys me out, hehe..
One of the more memorable race bibs, I’d say. 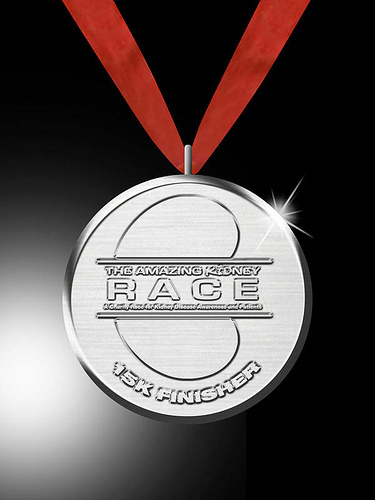 I was registered to run 10K for this race. Loony attack, simply. This morning I had decided to be humble, so I ran 5K instead. The race started bit late at about quarter to 7AM, but just in time to accommodate us, supposedly latecomers. I had a pretty good run – just like TRR, nothing fancy but tasteful enough. It was most inspiring to see some elite runners acting as race marshalls and manning the booth. Talk about the local running community trying to take social relevance to greater heights (Ohnoes, now I talk like your usual loco politico, wehehe). It also fills me with glee that TRR had become a reunion race for me and two of my best girl pals, Dree and Bless. One gladly took the role of being my personal driver; the other my ‘sosyalerang yaya’. *Peace Dree and Bless! And yes, for the mandatory Finish line shot..
My last run, a quick one ’round the village, was sooo freakin’ eight days ago and I figure that by tomorrow I’ll be completely down already with this darn colds. WOW, good luck to me on Saturday. Ondoy didn’t hit my village. Thanks be to God. My family (in Bicol) and I are good and well, but several other families have lost their homes, cars and other possessions; worse still, for some, their loved ones. And it can’t be more apt. – OR – I would have immediately mistook this for an email spam, and dunked it right through the trash folder. Obviously my blockmates are at it. I accompanied two newbies from the class for a short evening run in UP two nights ago, and the next day it became the class’ hot topic — suddenly, they all want to run! ‘Turuan mo din sila nung drills ha!’, the class ‘recruiter’ told me. ‘What?!.. Sige, bayaran n’yo ko, hahaha’, I quipped, jokingly. Now I should stop making ‘school’ an excuse for not running. Shoot, my classmates are at it (or will be at it), and the last time I checked they had good exam scores last trimester, yup (significantly) higher than mine. But yes, my classmates’ enthusiasm to try out running will surely motivate me to get back on track (literally): resume to training mode. Enough of that ‘PRACTICE RUN = RACE’ equation, or my legs will soon give up on me. 13 September 2009. UP Los Banos. Minutes after my 12K rockin’ race (I mean rocky, literally rocky), I was moving about like a hyper kid, my legs still in pink health – so much so that post-race became pingpong (table tennis) time, and we even tried some shooting too at SEARCA’s basketball area. But this morning it’s reality check: My thighs feel sore and I remembered to thank God today for the life of the man (or men?) who invented the ultra useful elevators. Elbi never disappoints, if adventure is what you have in mind. I’d be lying if I say that I love this race only for its ‘adventure run/s’ offerings. Truth to tell, I like it because it’s in Elbi. You wouldn’t believe it, I became a pain in the neck for my friends in deciding where to stay in Elbi. They knew I was near sleepless in MAK7 last year, due to mumu (ghost) scares. Let me clarify, I didn’t see nor feel anything – it’s plainly the scaredycat in me. And it’s not like they’re thoughtful; I was insisting we find a place where ‘I’ can sleep in peace. It became almost a major issue that someone in the group told me, ‘Cathy, just leave the mumu‘s to the cows!’ What again? Man that’s a fairly new joke. Ah.. where do you get those? HAHAHA. Now for the RUNNING stories. I was runner # 711: armed with sheer guts, practically on zero ground in training. Sometimes, I cannot help but to be me – a daredevil in adventure races. My last run was in Hataw Pilipinas race in UP, a lame 5K race backed by zero training as well. That wasn’t so bad a run except that a sidestitch disturbed me, which was a telling sign that I really am a newbie once again. So you get the picture, NO. RUN. AT. ALL and I was to race at Makiling Challenge 8, famous for its steep uphill race course even Mr. Botak told me he didn’t want to run it again. It wasn’t a help too that Macrunners came up with the theme: ‘Farther. Higher. Rougher’ (and they kept their word). Night before the race was also pingpong time with pingpong master Rommel, while we wait for Cha and Pao to arrive at the SEARCA hotel. Surprisingly, I had a grand time trying out this new sport; he had a grand time picking up the pingpong ball, SEVERAL times. Race morning and I felt I had the best pre-race sleep, not to mention we’re worry-free on race tardy-ness –> Baker Hall was right across our place, some forty or fifty steps away. The only worry I had in mind: it was raining that morning and I might quit from the race if I get all soaked up and feel freezin’ cold. September 7th, 2009 on 14:43 hi, my friends and I are interested in joining the race. can you give us more details about the race route? is it all paved road naman or are we going to wrestle w/ thick mud going to peak 2 turnaround point? September 7th, 2009 on 21:39 good day! regarding your inquiry. the road from Baker Hall to the 5km turning point (T.R.E.E.S) is all paved road. Starting from the 5km turning point, all the way to the 12km turning point, it will be rough road with some rocky and some muddy portions, though the mud won’t be ‘that’ thick (not like the NorthFace Trail Run mud). September 8th, 2009 on 16:36 Thanks for quick response, appreciated that. Looks like a crazy race there huh! Anyway one more question- we’ve got feedback lang about linta on the road to Peak 2 during rainy season.. will there be linta during the race? Just checking.. the minor muddy condition is bearable but the linta threat is something else.. Thank God for my one-and-a-half week trimester break. Grades aren’t in yet, but let me just put my mind now on more interesting things. 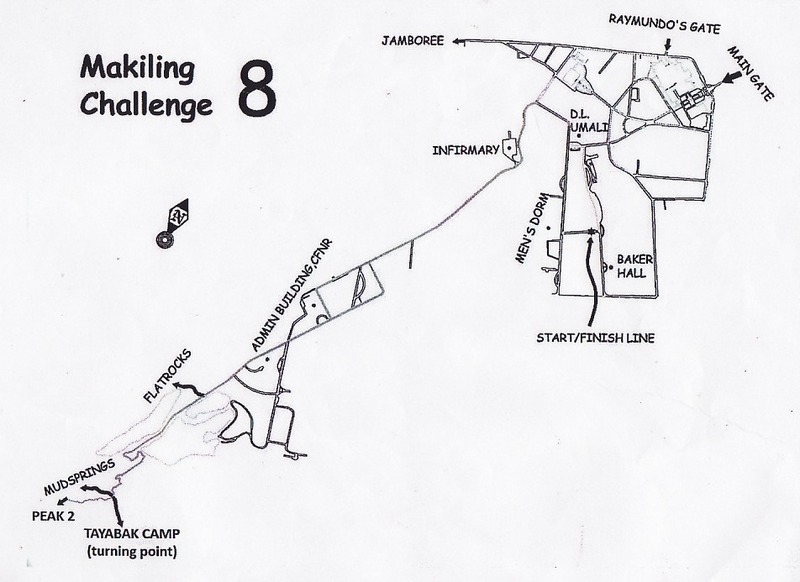 The Makiling Challenge 8 is taking it even ‘Farther. Higher. [and] Rougher.’ And I thought to myself that was meant to be just another catchy tagline for a race, er, not-a-race but an adventure challenge. Apparently, there’s valid reason Macrunners don’t call it Makiling Race, but instead, Makiling Challenge. Last year’s 10K route to Makiling School of Arts Theater was already darn crazy I’m thinking myself almost insane to even plan on doing it with zero training these past months. And now what (!).. they’re making us climb (aha, not run) up to Peak 2. And now what (!) .. the distance isn’t a 10K but a longer 12K. That’s why it’s called C.H.A.L.L.E.N.G.E. Then again, this is way more interesting than my Quanti exam. Apparently, they watched the Cobra Ironman 70.3 yesterday at CWC. Wow. Tell me about it; I’m dying of envy now. By the way I told her I knew about it and that my friends and I were supposed to join it. She wouldn’t believe me, unfortunately. Probably she saw Bentley and Bozzone at the race, and thought to herself I was such a fake athlete. Hahaha. I think MPG is ready for Mak8. This is just sooo cute an account. Stumbled upon Pia Cayetano’s blog some minutes ago and found it an amazing read. My personal fave so far –> her account of the marathons she and Lino joined (plus other stuff about her younger bro). 9 Aug 2009. UP Diliman. I’d like to think I’m getting back at it, slowly and surely. Apparently, my own ‘comeback’ turned out to be a major group comeback for MPG (when I slowed down in trainings and races, almost everyone did too, for various reasons). 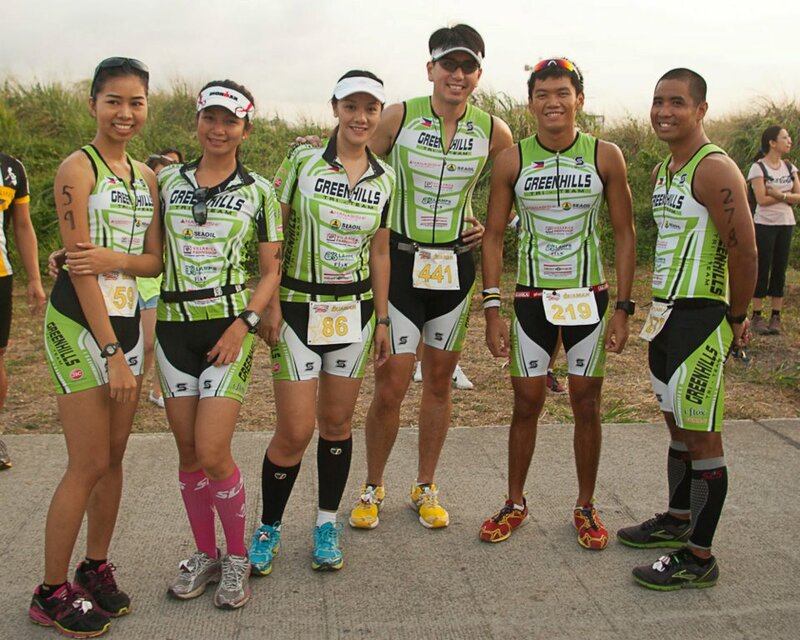 Imagine the excitement; we almost forgot how nice it felt to be in a race scene again, together as a big great barkada. ‘Reunited and it feels so good.. ‘ MPG by the finish line, post-race. I need to sound this ’emo-much’ because that was supposed to be our last race with Carla (Huhu!). Man goodbyes are never easy.. But we also celebrated a happy happening for the day – Atty Ryan’s birthday! To top it all, we were all clad in yellow shirts (except for the birthday boy!) as our version of ‘running for Cory’. As with first-timers, the race organizers committed quite a lot of boo-boos (many of those easily avoidable though if they had just been bit more diligent with their homework). Then again it has become customary for me to brush aside opportunities to whine, and just get a good run for myself and enjoy with my friends. Truth to tell, ‘Hataw’ could have been a more promising race with its very affordable reg fee that came with a finisher singlet and plenty more other freebies. The funniest moment for me was when I had to fight for my life (and I’m not exaggerating) just to get my well-deserved finishers lootbag. Emerging from the commotion with lootbag on my right hand, I exclaimed to my friends, ‘This is funny!’, my head shaking. I didn’t notice that the kindly emcee (who seemed sorry enough for the ongoing hassles) was right infront of me and was trying to read my sentiment. She replied to my ‘This is funny!’ line with a ‘Why?..’ She looked nice enough I thought I had to explain my reaction, and so I did. But make no mistake about it, that race had plenty of freebies – and nice ones. I especially enjoyed the free Pocari Sweat drink paired with a small serving of Nestle yogurt (yum, yum). A couple dozens of posey pics at the finish line and at the facade of our beloved college and then we were off to our next project: tummy stuffing at Something Fishy in Libis. Tell me, is there anything better than breakfast buffet after a race? Nada. Pre-race: Excited to be in a race again! Atty breaks the ‘be in yellow’ rule – hmm, buti na lang birthday mo! MPG is now officially beginning to miss you. Hehehe! Good luck, and yes, do the Boston! Before I totally kill the life in me, let me run, and let me write about my intention of racing again. Let’s HATAW it this Sunday! * I actually had one nice race last July (same day as Milo-Manila), that gave me bragging rights of finally outrunning Big Boss. But it cost a lot, not just on me but on my guardian angels and all the saints in heaven (hahaha!) — I finally outrun our CEO all because he quit midway to finishing the race due to a really heavy downpour. * So soaking wet I was, while finishing the second half of that 1ok race (that actually measured 13km) in the company fun run. Since I’ve always loved running in the rain, that race was a special treat for me more than anything. By the way, I placed second in 10k women’s category (ahem, among four, hehehe!). * Next three weeks were almost lifeless (read: run-less). 1) While out to Cebu for work, I woke up on my first morning there peeking from the hotel room window to say Hi to the morning sun, only to get a dose of an envy-inducing surprise: Right on the road facing our hotel was an ongoing weekend race! Nice, thank you, insult me more. 2) I’d often bump into our many runner-bosses here and they’d ask if I’m running the next weekend’s race. I thought answering that with a ‘No’ should be enough suffering for me – but for some reason, they’d second it still with a ‘Why?’, grrrr! 3) For some weird co-incidence (or are you doing it intentionally to get me envious, Rene? ), I get to see and say Hi to Jazzrunner as he passes by our village for his morning runs, while I’m rushing to work. This morning I saw him again, and he was even able to share with me some chikka about the QC International Marathon this October. What a joke. Alright, that was Feria’s signal no. 2..
At that time, I didn’t catch it to be that funny as I was busy munching on a piece of cake. This morning, while riding a cab I caught more clearly the windspeed specs of typhoon Feria: 15kph. Not so fast, I thought. Actually quite too slow, I thought further. Man that threw my officemate off her seat! She kept laughing and laughing, and then it dawned on me that yeah, that was a funny statement. But no, I am Not faster than Feria. She is slow, yes, but I can’t (yet?-or-EVER) muster enough prowess to stage a sub-60 time for a 15k. At least not in my waking time. Hahaha. It’s a brand new stuff in my UP running routine. It’s a certified ‘winner’ route, but for sure not anything new to other frequent UP campus runners who one day in their lives got some tummyache due to UP-Acad-oval-overdose, so off they went exploring the outer streets in UP. Oh, one more interesting note – it passes by the famous HeartBreak hill. And I went crazy and egged on my running buddies to race me on the uphill. Only one obliged. And even outran me. Hahaha. I hope the Heartbreak hill portion becomes a staple part of the route for UP races. Or.. I’m also thinking Not.. If only dreaming equates to doing.. I would have easily logged in my 500th-kilometer running mileage by now. So.. alright. I’ll shut up now. But children and students of the world, hear this: SCHOOL, isn’t good for running. Nah. New officemate begins to notice C has been munching again, when it’s barely an hour after lunch break. And C isn’t oblivious of the fact that she might be scandalizing new officemate of her eating habit. So yesterday PM..
C: (While munching, turns to N.O. with the bag of chips) Would you like some? N.O. : Hehe, no thanks, I’m still full. C: Are you getting surprised? You always see me eating, hehe.. The guy answered straightly. And man I wasn’t prepared for that so-honest reply, haha. I would have expected something like, ‘Di naman’ – but surely a ‘Di kaya’ reply is one flat out big lie. N.O. : That should be okay. Di ba kasi runner ka daw. I mean, I hear from some people here that you run. It must be your metabolism.. I wish I could tell him there’s no connection there, at all. I’ve always had an appetite like this. Weirdly, it’s got nothing to do with my running. But that’s a fine excuse you’ve put forward for me. At least I don’t need to be explaining on something I couldn’t explain myself. Hehe. I gave myself a two-week ultimatum to get settled with this new work-school setup, and then get back to regular training. Last Friday (my last run to date, yikes! ), I was able to finish 3 laps of the Acad oval and I felt my calves react the day after. Hmm, I missed the feeling, hahaha. Sunday came and I had planned of joining the Takbo guys for a group LSD (a.k.a. bandit run at the PTAA race) and I overslept. Hmm, I missed the run and I missed the people. The Two-Week Ultimatum Has Expired. And this entitles me to lace up my shoes and hit the road more often, again. Cathletic’s status: Drooling over this..
Running fast over a mountain trail—leaping, jumping over roots and rocks. In these moments gravity slides away and you soar through the air. Assuming, of course, you have the proper shoes. Slip or trip and the dream suddenly crashes to the ground. 1 Your running style and the terrain you most often cover determine the trail shoe you choose. 2 Think traction, support and protection when evaluating your shoe. 3 Fit, of course, is also important. Trail running shoes should fit a bit more snugly than road shoes. Since soft cushioning can lead to a turned ankle, most good trail runners depend on fairly stiff midsoles (dual- or triple-density EVA foam). The outsoles are rugged, (made from carbon or blown rubber, or a combination of both), and feature aggressive tread patterns. Uppers are usually water-resistant and made from durable synthetic leather or nylon mesh materials. Toe-rands ward off rocks. Additional protection is usually provided by molded nylon flex plates in the forefoot (look for flex grooves in the forefoot outsole to enhance natural flex). Support is also important and is delivered to trail runners by burly medial supports and beefy heel counters. The lacing system is generally advanced, offering a variety of means to get a snug fit. Three important factors to consider when making your choice are the size, shape and mechanics of your feet. Next you need to know the shape of your foot. Do you have high arches? Are you flat-footed? Do you have a “normal” shape foot? (If so, you are in the minority!) Here’s a simple way to find out. As you get out of the tub or shower, or step out of a pool, take a look at the footprint you leave on the bathmat or cement. The width of your footprint will suggest the shape of your arch and the way your foot moves as you run. Generally speaking, the wider and straighter the footprint, the lower your arch is. A very narrow, curved footprint (or one in which the ball and heel are not even connected) suggests a high arch. Somewhere in between these two is that so-called “normal” foot. Foot shape is closely related to its movement as you walk or run. Typically, as your foot strikes the ground heel first, it rolls slightly inward, flattening the arch to cushion the force. This inward movement is called pronation. Next, your foot rolls slightly to the outside, stiffening up and creating a springboard that propels the next step. The outward motion is known as supination. Many people experience different levels of these sideways motions as they run. Many over-pronate, meaning that their feet are overly flexible and roll too far to the inside. This is commonly, although not always, true of people with low arches. These folks need extra support and motion control. Some runners supinate (more commonly referred to in the footwear world as under-pronating). This means they run on the outside edges of their feet, which in turn don’t absorb much shock as they land. This is frequently the result of inflexible feet and high arches. The preferred shoe for this type of runner offers plenty of cushioning and flexibility. But how do you determine what sideways motion your foot makes? The answer is probably in your closet. If you own a pair of “experienced” running shoes, check the wear pattern on the soles to see whether you over- or under-pronate or if your foot motion is normal. If the wear is centralized to the ball of the foot and a small portion of the heel, you have a normal amount of foot movement. Over-pronation is identified by wear patterns along the inside edges, while under-pronation is marked by wear along the outer edges. Most trail runners have soft, grasping outsoles that wear quickly on pavement. They are perfect, however, for mountainous trails where you’ll encounter steep angles, tight turns, and areas where a soft step is followed by a hard impact. Some shoes have outsoles more suited to dry trails while others are better for mud and goop. Groomed Trail or Fire Road—Look for good traction, cushioning and stability. Rocky Trails—Look for good forefoot protection, toe-rand, heel counter, dual density EVA midsole, aggressive tread. Road and Trail—Look for a shoe with extra cushioning (gel or air) combined with good traction and a stable midsole, usually with dual-density EVA foam. Slop, Mud and Rain—Think waterproof/breathable liners, water-resistant or wicking uppers. Spandex Lycra- and Gore-Tex®-type laminates are most often seen in these shoes. Also, look for a very aggressive tread with wide-spaced lugs to shed mud. Rather than cushioning, go for stability. Dry conditions—Moisture-wicking shoes are key. You can go with extra cushioning, but keep in mind the trail type on which you commonly run. In trail shoes look for a very secure fit in the heel and arch but with a bit more room in the toe. The way you tie your shoes can help in this area—keep the laces somewhat loose at the bottom and tight at the top of the foot. Trail runners should have a high scree collar around the ankles but a low heel tab at the top of the heel—the better to run down hills. Partially curve-lasted shoes typically provide the best fit for trail running. Wow. If I get myself a nice trail runner, I might just show up at KOM. 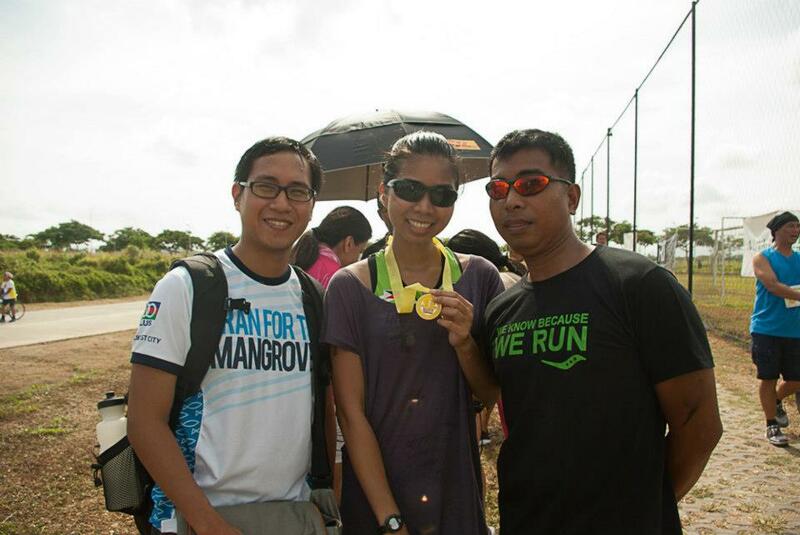 My regular road shoes survived Camaya’s trail run – and even earned my first podium finish for me (hahaha!) – but that trusty NB pair, while still in good shape, is screaming that I try to look after him better, what after ending up soggy battered from the past weekend’s mad wet run. (Cathletic counts with her fingers) –> And I just realize that trusty NB is eight months old now!! And man it’s been everywhere, literally everywhere. Wow. Some really trusty pair..
For some reason, I just don’t like 1) people who likes to complain, and 2) myself having to be in the shoe of the complainant. I hate it, I hate it.. because I’ve long regarded complaining as a waste of energy. Being the peudo economist that I am, I hate wastage, of anything but moreso of time and positive energy. It’s been more than four days since I emailed Autoreview and sent an SMS to a friend of mine who’s helping out to fix their website, about the missing results of my brother. I got confirmation from both that it was to be acted on. But until now, NADA. So I thought it won’t hurt if I call them up to ask if they have my brother’s results yet. “Oh are you Cathy?”, the lady on the phone interrupted. Make no mistake about it – It’s my first time to make a successful call on the complaint, so it’s not like I’ve been pestering them. Apparently they read their emails are acting on my complaint, BUT rather slow. Autoreview guys, aside from LSD there’s what you call sprint. Try it. We started the run a little past 7PM already. Running buddies were hesitant as it had been raining heavily outside since 4 o’clock as far as I can recall. But if you know me, you’d know I had not one bit of hesitation in my mind. Ever the rational thinker, what I programmed myself to do I do, come hailstorms or fires (well, except it’s really, really, badly NOT possible). This is one more thing that I like in running, or in sports in general – it trains your mind to think straight and squash the emo part where it’s not needed. You see, addict as you may be, you must admit that overall there abound more reasons NOT to run, than to run – things such as 1) cold morning breeze and laziness, 2) heat when it’s sunny outside, 2) wet hassles/cold when it’s raining, 3) injury, 4) dogs chasing you, 5) no nice running route nearby, 6) still-wet running shoes/ battered shoes, 7) no time, and blah-blahs. These things are so REAL that at one defining moment in your life as a runner (naks!) you just need to admit it that in truth: “World, I can’t find a logical reason why I run” and why I-still-run-even-when- it’s storming/ it’s blazing hot/my shoes are in terrible condition/I have colds now/ four dogs are chasing me (!! )/ knees are acting up/ etceteras. Afterall there’s some wisdom in that Nike tagline, hehehe. Artificial-sounding as that may seem to you, man I mean it by heart when I say ‘You just do it’. So last night we just did it – ran wildly amidst heavy downpour. There were three of us MPG buddies and on our last lap, our conversation topic went, “Do you think the pasta will be ready when we get home?” Hahaha. The cook was happy (or was she?). T’was bottoms up. and when the actual experience of IT leaves you with some really bitter aftertaste worse than what you got from the blackest coffee you’ve had so far. Run-less for four days and it brings me to a thoughtful mood. I just requested to be transferred to a different class just so I don’t risk being a constant latecomer (plus the prof there seems to have ‘a thing for a lot of things’, as my classmate put it). But now I think I face a bigger risk of being totally runless for FOUR consecutive days – Every . Single . Week. Somebody give me a paracetamol please. If I may complain.. (and I tell you I’m no good at this). My brother’s name is missing in the race results(!!). Forgive me, I am not, and I repeat – I am NOT, normally easily irked with discrepancies like this, except for this time. So yes, it’s okay to publish his finish time, it’s not a secret. Double check your data. Man my bro has been bugging me what his official finish time was(!) and now that results are finally out, I remain empty-handed. And I can only tell him, ‘sorry, guess they skipped you’. Sorry, it’s the boy’s first race. You can imagine an excitement level way above the normal, for him and for a doting Ate. So I sent them an email asking them to double-check their data. I need to confess that I said that in a bit-pissed-kinda-demanding-but-trying-to-be-nice-still tone. Afterall, my boy isn’t really a medalist or something. Just plain excited for being a first-timer, and that excitement they – unfortunately – squashed. Nevertheless it’s not too late. Autoreview, gimme, please. May 24, 2009. The Fort, Taguig. I inquired about this race only three days before the race day itself. AutoReview run was the result of my scampering about for Manila races after learning that Daryl, my youngest brother, was coming over for a short weekend vacay. I initially thought of racing it too, but gave it a second thought and decided to be play the ‘Yaya’ role instead – a running Yaya with a camera on the right hand and a towelette on the left (wahaha!, minus the towelette naman – save Cathletic’s dignity). One of my two Kuya’s I had commissioned to be our driver for Sunday early morning. Talk about having siblings sponsors for your race – my brother had it all. You amaze me Nono! Stop making pa-cute and keep your focus on the road. Yes, don’t be like Ate. Hehehe. Saturday afternoon while chatting about his first ever 10k race the next day, my brother said he’d race it and that he’d bag home the prize. My eyes told it all – good enough I didn’t break into laughter – and then I tapped his shoulder and whispered, ‘Dream on..’ (Now I don’t know if that was worse. All I know is that he’s used to it and only laughs to my sarcastic hirits.) As expected, he further inquired, asking why I thought it was impossible a feat for him. 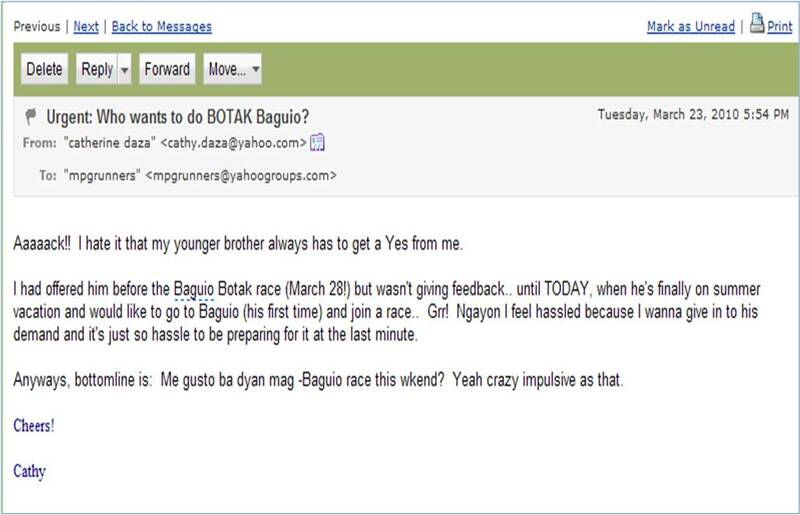 To set things right, my brother isn’t used yet to race scenarios – because there barely are any race in Bicol. The only thing he has up his sleeves is one school homecoming fun run last December where he placed 7th overall. But as he saw me seriously take up running as a sport, he got interested too. These past months, he would run 10Ks on weekends, on high hopes that his Ate will tag him along in Manila races sometime this summer. Fast forward to race day, I became an instant proud Ate. I knew it’s a test of normalcy not to expect for my brother to land in the top 3, and I passed it. But I didn’t expect him too to do so well as to prolly rank within the top 20 or top 30 finishers. As a bandit runner in that race, I took seriously two things: 1) try run long as I was scheduled for a weekend long run, and 2) take on my photog role with some tinge of competence. I tried running the race route but as I was after getting in-action photos of my brother I would take shortcuts as needed. Running along Lawton area I met the elite runners with the motorcylce race escorts already making their way back to the race venue. The gap between that group and the group of runners trailing them would prolly be a 4-minute chill run for me (read: quite a gap). This is when I discovered that Daryl was serious in wanting to race it. Running towards the Heritage Park area, I didn’t expect to see him yet – at least not yet. I thought he should be somewhere at the upper middle of the pack, at best. Ohwell, I was caught offguard and the next thing I did was to agitatedly take out my camera and aim it at him. The pic above is the result – the only decent in-action photo I managed to take of him, hehehe. This race start area looking half-trimmed after the 5K runners left and 10K runners wait for the countdown. Now a 10K race finisher. A strong one at that. But of course, with his coach/ yaya Cathletic. Even Kuya was there to support. Sunday was destined to be a hectic day for us. After the race, we did one round of freebies hunting (I was only successful at getting Starbucks sample, but t’was good), Daryl went on doing some stretches and I ran three laps of about 400m at the parking lot. Yes, I was hoping I could still add on to my weekend mileage – Haha, desperate! 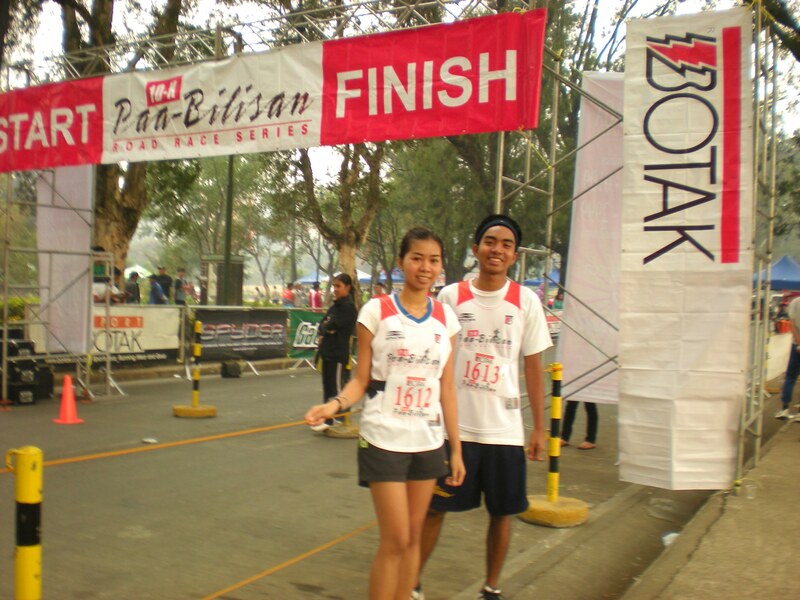 Then we took a few more pics at the finish line area and then left immediately as my other Kuya is waiting for us at Clark. What was waiting for us at Clark? – this highblood- inducing bulalo and a fun swim at Fontana!! Huh, who ever told you that’s the best way to cap a race?! At Fontana, waiting for Kuya Boboy who’s getting our tix. Post-Swim: I think it comes with being both the youngest siblings that we are also the most ‘pa-cute’ in the family. Or it may be with the generation. Our older siblings are with the ‘Kodak-film’ generation; Nono and I are with the ‘digicam’ generation, hehe. Saturday night, I took out my knapsack bag and stuffed it with extra shirt and slippers, jellies, plastic bags and empty water bottles (to be filled the next day). Next I decided on what to wear – and later you’ll see why this is such an issue. As I’d see in hiking pictures, climbers usually wear shirts with long sleeves and would go for some layering, which I find cute. It’s generally a ‘covered’ look, which is practical I think as you’d want to be protected from the sun’s heat and move freely across the wild woods minus the extra worries on getting scratches and possible insect surprises. The result: I went out with that ‘covered’ look Sunday morning. Their reaction: The climb leader started it and instantly everyone began teasing me as the ‘hiker who climbed in a malling outfit”. And that was the worst of the things I had to endure during the hike – their constant teasing. Crazy guys. The hike took us about 3 hours going up, with several rest stops in between. I’d personally judge the trail to be not too difficult but NOT lacking in challenge as well. Then again, don’t trust me. Having spent my entire childhood in the province, I’m used to a foresty terrain like that. It even sort of reminded me of my playground back then, hahaha. So I weaved my way into the forest quite easily and stayed in front of the troop most of the time. There were instances I’d deliberately stay at the middle or at the back of the pack lest our TL gets convinced I’m such a pain in the neck on group hikes like that (Peace, Josiah!) – where you should let the slowest lead the way and the faster ones need tame their overt enthusiasm and remain at the back. Below are ascent to the summit pics. The trail still looks friendly here. Some deception.. Tired but not too tired to strike a pose. And I take home the most “pa-cute” award. Hehehe. I had brought him into it. My own addiction to the sport I can’t contain in me, so I had had to transfuse some of it to him. Now he’s addicted. And he blackmails me to FIRST find a race for him before he decides to come over to Manila. I panicked – scampered around for a race this weekend. ThankGod, there’s even five to choose from(!). But TNF and Botak-Baguio are definitely out of the question. Guess it’ll be the AutoReview Run then. Oh, I am not pysched to race this weekend.. but my youngest brother always gets what he wants from me. Hmm, at least most of the time. Last Sunday’s climb to Pico de Loro teaches me one important lesson: Why too often and too many exams will hurt. This was a special request climb by me, after my self-enforced semi-hibernation in my study table (and study bed too). For two weeks I’ve tried to excite my neurons from its state of coma, in preparation for last Saturday’s test. It’s a good thing our mountaineer-friend Josiah can very well cook up a great climb itinerary in one snap of a finger. I told him I’ll need to unwind after my exam and I just need to be taken out to the wild outdoors (out-Manila-please! mode) and I’ll be fine. So he took care of everything and all I knew was that it was going to be a hiking trip. Saturday afternoon came (my test was in the morning) and I was still clueless where we were trekking the next day. All I had in mind was to ready my backpack, and then grab some jellies and chocolate bars for the next day’s climb. PICO DE LORO. This was our destination last Sunday. And I learned of it barely 8 hours before I rose from bed 3AM the next day, to get ready to be picked up by 3:30AM. A little past 4AM, we were already at Lawton waiting for a Saulog bus to take us to Ternate, Cavite. I’ll tell more stories in the next post. For now, let’s drool over the scenery from the ‘viewing deck’ and on top of the Parrot’s Beak itself in Pico de Loro. Yup. Hot. It was high noon when we reached the top of the Parrot’s Beak. The sceneries that make one pray, instantly. God, what a beauty! A bad headache pesters me while I type this. My calves amazingly did some talking last night. While I sat by the study table, reading and pretending to be comprehending what I’m reading, I suddenly felt my calf slightly tingle. Weird. It lasted for more than a couple of seconds. Ironman 70.3 – Who’s game? At MPG, we fake it best. – should be our official group motto. And that’s Presidential Decree 0513 (just because it’s May 13 today). LOL! I sent an email to our egroup this morning with this title – “Who’s game? 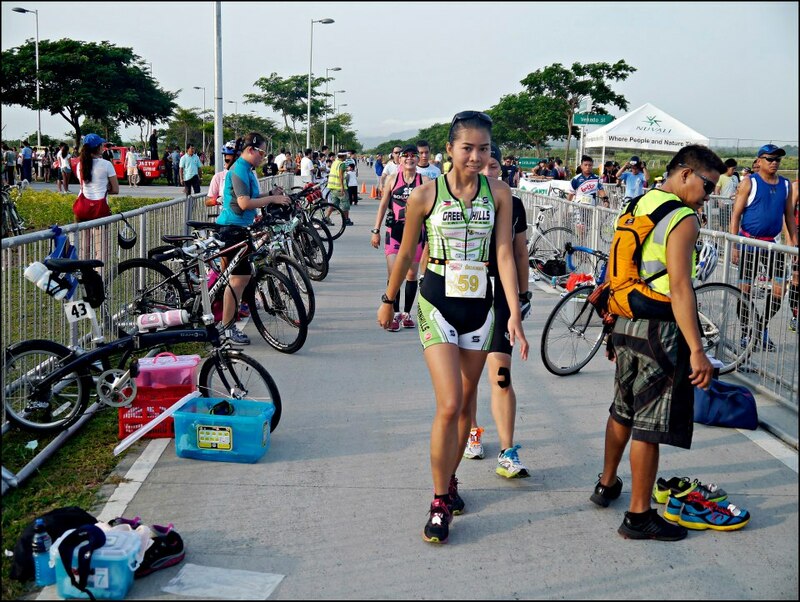 : Ironman 70.3 Philippines in August (Camsur)” as though it’s just another weekend 5K/ 10K race at The Fort. Man what was I thinking! – like we were really some kind of pros?! Hahaha. But in true MPG fashion, my friends have one by one started replying, all of them genuinely interested. Worse, instead of worrying if we can hack that death-by-the-70.3 miles -multi-sports event, they began complaining on the unusually pricey registration fee. Fakers we all are, tsk tsk. It’s a post-Camaya effect actually. I recalled there’s a major triathlon event taking place right in my hometown in August. But since it’s a triathlon and I can’t do one, I surmised it should have some side-events just like at Camaya. So I found out that team relay category THERE IS.. and I can perhaps try my hand on either the run or the bike leg. But the bike leg is one terrorific 90km distance! And the longest I ever did is 30km.. on a mountain bike, which is all I have by the way. So thank you, but no bike leg for me I think. I can’t swim but I can run, snail pace. So the 21K.. hmm..
Now let me accomplish some promote-your-own homework here. This major multi-sports event will be hosted at the CamSur WaterSports Complex (CWC) at Pili, Camarines Sur. We both do ‘kinse’ for our weekend runs!! Hehehe. But Oh!, you bet our race PR’s are worlds apart. I’ve seen the man a few times in meetings – and guess what struck me most: he sports his Polar running watch to pair up with his long sleeves (folded back a bit) and slacks. Man he doesn’t look 42. At all. LOL! I told my runner-lady boss about it, who was also in the same meeting. The next day I was surprised to notice she was wearing her Suunto at the office. I have recently been doing 15K’s instead of 10s for my weekend runs. Why the upgrade? Well, it’s the logical way to go – where else to go but up, how else to go but farther (or longer). 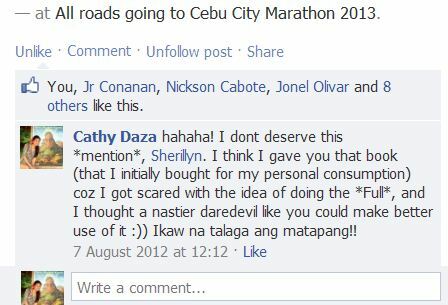 One friend asked if it’s a sign to my giving in to do a full-M at the Subic marathon on October.. Heck no! Okay, I know that’s on the psychological conditioning only, hahaha. Now on the more serious side, long runs are considered beneficial to the body as it helps enhance our VO2 max. That an alien term? Don’t worry you’re not alone. My next race is on the 31st. It’s a company fun run, but I doubt if my running bosses here really ‘run it for fun’ there. They will race it, and that’s for sure. I also plan to race it. Let’s see if these kinse’s help, hehehe.